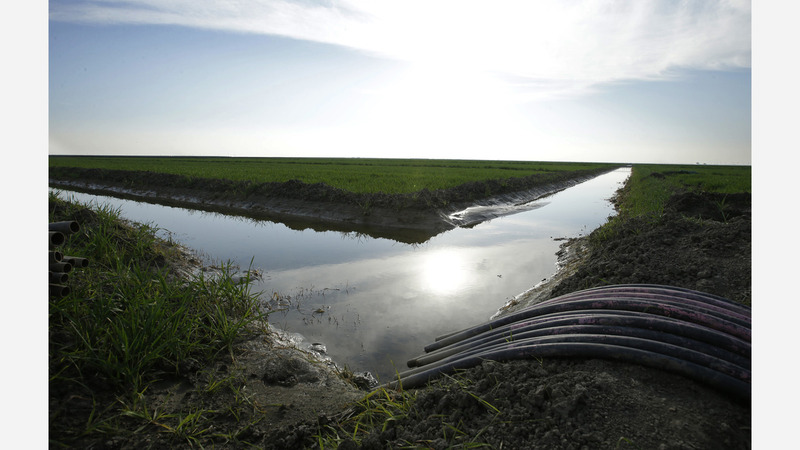 SAN FRANCISCO -- The U.S. government improperly spent $84 million to help plan for a massive project to ship Northern California water to Southern California, a new federal audit said. Federal officials gave the taxpayer money to help finance Gov. Jerry Brown's plans to build two giant water tunnels, according to the audit by the inspector general's office of the U.S. Interior Department obtained by The Associated Press on Friday. The inspector general says federal authorities also did not fully disclose to Congress or others that it was covering much of the cost of the project's planning. The actions by the Bureau of Reclamation, which is part of the Interior Department, meant that federal taxpayers paid a third of the cost of the project's planning up to 2016, the audit said. Asked if auditors wanted contractors to repay the money, Interior spokeswoman Nancy DiPaolo said, "We certainly hope so." Central Valley water districts that were supposed to pay 50 percent of the tunnels' costs, meanwhile, contributed only 18 percent, the audit found. Officials from Westlands, the nation's largest agricultural water district, and a politically powerful one, did not immediately return calls and emails seeking comment.